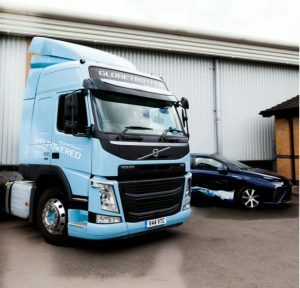 On Thursday 14 June TEP hosted the first in a series of events to build awareness of the ultra -low and zero emission refuelling options that are available to local commercial vehicle operators. TEP hopes to make businesses aware that failure to switch to sustainable refuelling options could result in a lack compliance with the air quality requirements of the CAZ, which could result in charges when entering a designated CAZ zone. Approximately 70 delegates attended from a range of different backgrounds including waste, energy, automotive supply chain, OEM’s, logistics companies and fuel providers. During this event, David Horsfall, Director for TEP, shared details about the Tyseley ultra -low and zero emission refuelling station that is due to become operational in early 2019. This refuelling station will offer local businesses a sustainable way to refuel their fleets and will include Hydrogen, Compressed Natural Gas (CNG), Biodiesel and electrical charging options. Delegates learnt about the work that is underway, when the development will be complete and more about the layout of the refuelling station. Sylvia Broadly, Air Quality Manager, Birmingham City Council, outlined the damage caused by poor air quality, the impact it has on public health, and the urgent steps the city is taking to improve air quality. With the CAZ proposed to be within the A4540 Ring Road, it is likely to apply to buses, coaches, taxis, HGVs and light goods vehicles with a daily fee applicable to vehicles that do not meet the Euro-6 standard for diesel or the Euro-4 standard for petrol. The group were told about the CAZ and the network of refuelling hubs that will be developed across the city. Speakers from small and large businesses spoke about their own experience with alternative fuel vehicles and fuel providers spoke about what will be on offer at Tyseley Energy Park. This included presentations from providers of ultra-low emission vehicles, hydrogen energy and CNG fuels. This event also gave us the opportunity to formally tell companies about the work that is underway, when the development will be complete and to get them familiar with the layout of the refuelling station. The next event in this series is a half-day, free-to-attend roadshow that will provide commercial vehicle operators and associated businesses with the opportunity to engage directly with the council about its air quality plans. The Birmingham Clean Air Roadshow will be held on 11 October at Aston Villa, Birmingham. 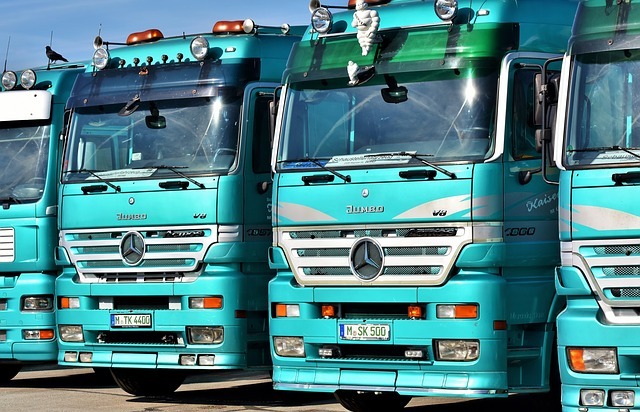 The agenda includes a questions and answer session with Birmingham City council and a series of workshops to help operator’s future proof their fleets. This will include an outdoor exhibition of alternatively fuelled and Euro-6 lorries vans and busses. Delegates will learn more about the UK’s first multi-fuel filling station being built in the heart of Birmingham at TEP and will also hear first-hand about the experiences other haulage companies had when implementing alternative fuel options for their fleet. For further information about the Birmingham Clean Air Roadshow and to register to attend please visit the event page.